and in original condition within 30 days from date of delivery. ** All SALE Items are final sale, exchanges only no refunds. to return and tell us the reason of your return. 2. We will issue to you an authorized return number. 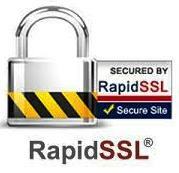 Do not return any item without a return authorisation number. NUMBER (it is the cheapest rate), to the address below. 5. 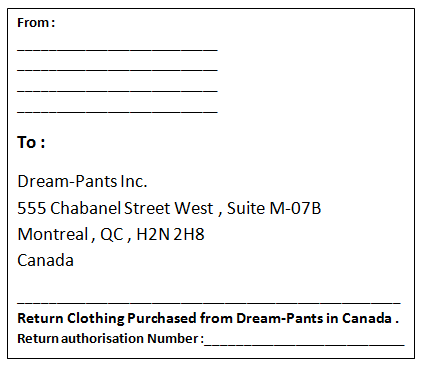 Initial shipping fees from Dream-Pants.ca TO our customers is Free of charge. are at customers charge .